One thing is immediately apparent about robotics research scientist, Christian Hubicki: He absolutely loves what he does, including talking about it with kids and other non-scientists. “I trained as an engineer with a specialty in building and coding robots. My passion is to take on the most interesting and challenging problems in robotics, and best of all, to tell the world all about it,” says Christian, Assistant Professor of Mechanical Engineering at the Florida A&M-Florida State College of Engineering where he specializes in bipedal locomotion (robots and other biomechanical machines that walk and run on two legs, like people). Christian’s work has been featured in numerous media outlets ranging from the Science Channel to “The Late Show with Stephen Colbert.” Another fact: He is a contestant on the current season of Survivor. 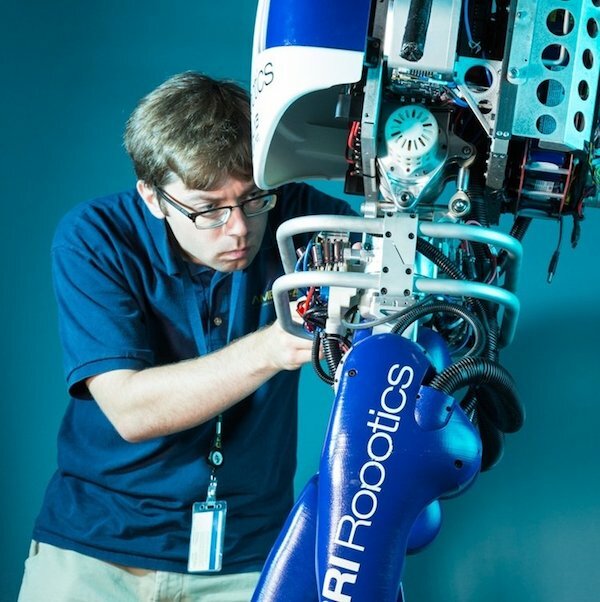 Christian earned his Bachelor’s and Master’s degrees in Mechanical Engineering from Bucknell University, and his dual-degree Ph.D. in Robotics and Mechanical Engineering working in Oregon State University’s Dynamic Robotics Laboratory.